Despite the fact that it's March, it's clear that Winter is not going anywhere fast. As I type this, the snow is coming down and I'm dreaming of sunshine, warmer temps, and being able to get out of the house in less than 30 minutes without all the layers. Dressing a toddler in winter is seriously a combat sport. At least one of you ends up in a full sweat (me) and in tears (also me). But anyways, days like this make me avoid eye contact with the kale in my fridge and seek out something warm and comforting to eat. Case in point - for lunch today, Charlie and I had leftover lasagna that I made last night for dinner with my girlfriends. Now, normally, I wouldn't eat lasagna twice in two days, but this version is so good for you, I'd eat it again for dinner tonight if there was any left over. The best part (aside from the fact that it's healthy AND delicious) is that the base ingredients allow for it to be gluten-free, dairy-free and vegetarian, but you can easily add in ground beef, chicken or turkey, and a bit of Greek yogurt for extra protein and make it your own. 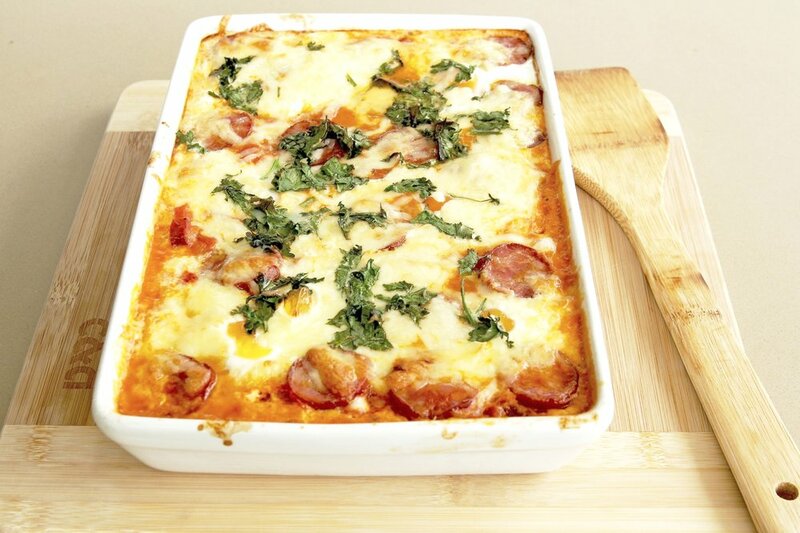 This lasagna is high in protein, fiber, folate, healthy fats and vitamin C, a great option if you're pregnant, or are just looking for something hearty and healthy. In a blender or food processor, combine the avocado, kale, basil, garlic, dash of olive oil and Greek yogurt (optional). If not using yogurt, add an extra 1/2 of avocado. Blend until smooth and kale & basil are finely chopped. Set aside. Baked in oven according to time and temperature of the lentil lasagna noodles (the noodles I used called for 40 minutes at 400 degrees. Optional step - top lasagna with cheese when there is 5 minutes left on the timer and stick it back in the oven to melt.